This was a thoroughly enjoyable project for a family who wanted their children to be well-versed in the classics. 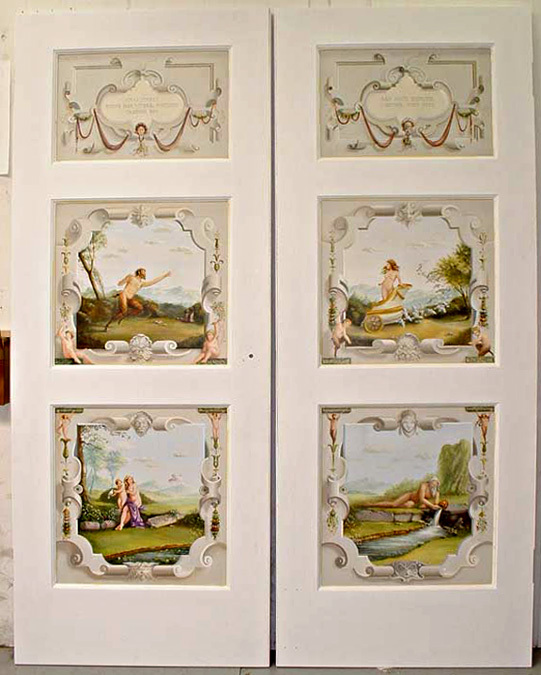 They suggested the latin mottoes and together we came up with the figures to include on the doors: The Satyr in pursuit of Venus, Venus and Cupid and the personification of Time. The garlands and borders are all adapted from Italian Renaissance sources.